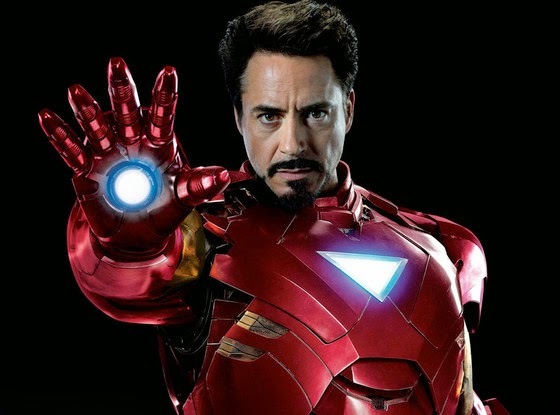 Why Robert Downey Jr., the highest paid actor in Hollywood, is the The King of all the actors of today? Why Robert Downey Jr. has a huge personality, is very good at acting, but is also a real person, who has a character, not as many actors who, although they are very good at their jobs, they do not have any kind of personal. Robert Downey Jr., during an interview, when the television reporter started to ask him personal things, he is offended, got up from his chair, and left the television studio. A great actor, a great character. Perchè Robert Downey Jr., é l'attore uomo più pagato di Hollywood, il The King tra tutti gli attori di oggi? Perché Robert Downey Jr. ha una enorme personalità, è molto bravo, ma é anche una persona vera, che ha un carattere, non come molti attori che, seppure siano bravissimi, non hanno nessun tipo di carattere personale. Robert Downey Jr., durante un'intervista, quando il conduttore televisivo ha iniziato a chiedergli delle cose personali, si é offeso, si é alzato dalla poltrona, e ha lasciato lo studio televisivo. Un grande attore, con un grande carattere.